PISCES is a water sign, sensitive, mystical, magical, mysterious, shy, mutable, addicted, karmic, pious, idealistic, unpredictable, visionary, artistic, and poetic. Pretends that life is fine when it isn’t. Unrealistic at worst, wise at best. MUNDANE Pisces, you rarely tell the same story twice, the same way. You like to add on to the tale, to create something fantastic. Others might not ever know the truth. With friends, you seem like you’re their one and only best friend, yet you’ll disappear suddenly, for no reason. It’s hard for you to express your true feelings. It doesn’t feel safe. This can lead to addiction: smoking, drinking, believing one thing, yet saying another, controlling your partner or developing rage or fanatical tendencies. In the extreme, you lean toward the dark, negative and cynical viewpoint… the shady deal, the drug addict, the disappearing act. Clutter represents your chaotic emotional state. You’ve got high standards for the world, yet are ineffectual in initiating change. Tend to the clutter in manageable, small ways. A little each day will help you release your hold on a trauma, traumatic past, or fear of getting lost in the world. ESOTERIC Pisces, you give everything you have in the name of the Divinity and compassion. You somehow swallow a friend’s negativity to help them cleanse. You create inspiring paintings, heartfelt poetry, lovely music, and insightful photographs. Speaking of photographs, you’re often missing from the scene because you’re the one taking the picture! You can sense upheaval and let others know where to step next. You do love your illusions! Movies, magic, and metaphysics, reminds you to be thankful. Your mystical nature can be too overwhelming at times. Best to turn it off at the end of the day and care for your own needs. The dedication you have to family (and the larger family of life) puts bursts of laughter at every holiday get-together. Resentment will build if you don’t set healthy boundaries with others, especially in business. 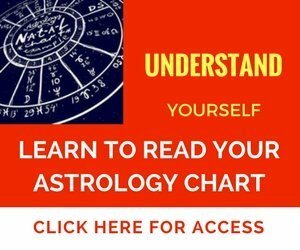 Of all the signs, your Rising sign (whatever that may be according to your individual chart) plays a huge role in what you project to the world. Often, you’ll absorb the behaviors of those you most spend time with. Be clear that your personality is malleable, but that doesn’t mean you don’t know who you are. 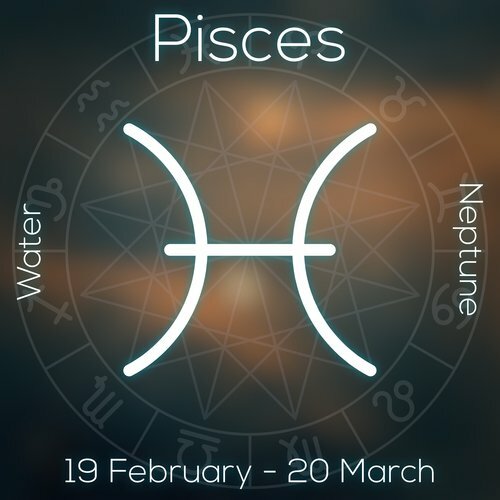 When Pisces is on the rise, the planet Neptune guides the general theme of a person’s astrological chart. Neptune represents karma, illusion, magic, metaphysics, horses and dreaming, idealism, vision, clairvoyant, spiritual, pious, musical, cynicism, addicts, tricksters. If you were walking through an ancient, burning cathedral, you’d be the first to comment on the beauty of the architecture instead of running for your life! It’s hard for you to see the ugliness of the world. Too scary. Drama, which helps to break up the negative patterns everyone has, plays a large role in your life. From your early years to adulthood, healthy drama—working out issues with friends, co-workers, family—helps you to feel more comfortable in your own skin. Left unattended by pretending that the drama doesn’t affect you, leaves you open for MELODRAMA. Melodrama is theatrical, over the top and can look like theft, law suits, raging partners, bankruptcy, recurring health issues, and a myriad of other ways that prevent you from being in touch with the real issue. If you’re unable to express your true feelings, then out of sheer fear on an unconscious level, you’ll find ways to use sarcasm or idealism to sound righteous. It isn’t that you don’t know how to make decisions, but you’d prefer to make them in tandem with a partner. You can be filled with ‘how-to’s’ for your partner and use that as a role of control. Be more lighthearted on yourself and others. The less you judge your insecurity, the faster you’ll be able to open up to learning opportunities. Too often, you disable yourself by convincing yourself (the illusion) that you can’t do something… and feed the negative chatter in your mind. You might attract a critical mate until you realize that the criticism comes from within… that you’re looking to perfect Divinity in humanity. Lighten up on yourself and do your best, without judging the other guy or your own process. There are no mistakes! There’s your experience and results. In counseling, examine your relationship to the feminine parent who was most likely extreme in her parenting or hid her true identity in a false self just to survive. You give everything you have at work or in a partnership. But if you hide your true self, you’ll start to attract people who might scam, steal, or take advantage. You’ve got an innate sense of spiritual practicality to help others discover their truth. Use that trait for yourself, too. Dedication to family is one of your strengths, but remember to set boundaries so your children learn respect. It’s difficult for you to be direct, so you might passively–sometimes aggressively–communicate. It’s key that you learn to trust yourself and communicate openly. I know you don’t like to feel guilty or responsible for causing pain, but if you express yourself with compassion, you’ll infuse the conversation with love. Your potential as a writer, musician, artist, actor is tremendous. The stage is where you can safely put those more profound emotions out there without causing harm. Your voice carries a resonance that’s healing and soothing. As you use your voice to gather a crowd, understand that you ARE an authority. Accept this humbly and business opportunities open up. You’ll attract people with whom you can collaborate. I know, your resistance to leading the group is huge, but pretend that you’re playacting in a movie until you get comfortable with the role! Use your intuition and empathy alongside your very sharp mind to help you to distinguish between your feelings and ‘their’ feelings. Take time to yourself often to release negative vibes that you’ve absorbed from the world. Meditation and gardening or caring for animals is a lot healthier than self-medicating! Pisces sensitive areas: ankles, feet, mucous membranes, endocrine system. Being part of a gym and lifting weights helps you to focus. Too much water (swimming, boating) might throw you off balance. Meditating daily and using ancient practices: chanting, Yoga, hand mudras, chakra breathing, and walking mindfully with supportive shoes will help to ground you and harmonize you quickly. Also working with animals feels supportive and safe. Eating heart healthy, staying away from man-made chemicals and addictions helps you to think clearly. Your sign needs to stretch the spine and support the feet and ankles. I am safe. I matter because my matter is Divine. Equality equals rewards. Notable Pisces Rising Signs—Dorothy Hamill, Laura Dern, Dean Martin, Carol Burnett, Alexander Graham Bell, Antonio Banderas, Madeline Kahn, Richard Pryor, Whitney Houston, George Clooney, Frank Capra, and Phil Donahue. Your moon sign has been programmed by thousands of moments in service, that SERVING OTHERS is your only purpose. Of course you sometimes forget to serve yourself and go to the victim’s extreme and demand that everyone serves you. In your early years, you’re overcome with the inability to give your parents what they need, and you become emotionally lost or unstable. This unconscious lost feeling translates into needing to hide from others or to hide in substances or a false identity. OR to constantly give to others. You might: become addicted to mood-numbing substances, become addicted to rage (yours or a partners), or to giving up yourself in religious service. Learning to say and use the word, ‘NO’ is the healthiest thing you could do for yourself. Your relationship to mom at an early age was deep, protective, sometimes emotionally turbulent to the degree of losing your identity for the sake of mom. Reality sets in as you aged… that mom ruled and force-fed the family a dose of sacrifice. Sacrificing feelings, opportunity, the truth, and sacrificing your inherent need to be creative, magical for the sake of the family. This might have thrown you into disillusionment, with little understanding of equality in relationships. And the word, ‘sacrifice’ laid the foundation for every romantic or business partnership. You’ll give more to your business or employer than to yourself. But if you become resentful, then try to scam the system, thinking no one will find out, you’ll develop a self-defeating negative voice. This voice will cause you to repeat unhealthy practices. Focus on the reason behind the need to serve. Your finances, romances, and creative expression stem from this same place. Service at the sake of oneself is denial. But service, with healthy boundaries, for the sake of others is wisdom. You need strong and clear boundaries in life in order to have equality in relationships across the board. Once you allow yourself to have equal and reciprocal relationships, you’ll feel a sense of power with a sense of purpose… moving you toward that idea of perfection you so crave.